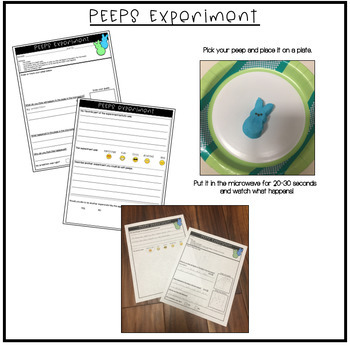 This is a kid tested, therapist approved fun and engaging FREE experiment that is perfect for targeting predictions, answering questions, describing, following directions, and encouraging conversational speech using everyone's favorite...PEEPS! My students love this activity, and I hope yours do too! Have fun!!! Articulation Carryover Activity: SPRING "What's Wrong?" I hope you and your students enjoy! If you like this product, please leave feedback at my TPT store. Each time you leave feedback, you earn credits that can be used towards your future TPT purchases! I hope that you are 100% satisfied with your purchase. If you do find any errors or have any questions, please contact me at nicoleaabsher@att.net prior to leaving feedback so that I can fix it ASAP. All rights reserved by author. Permission to copy for single classroom/therapy use only. Not for public display. 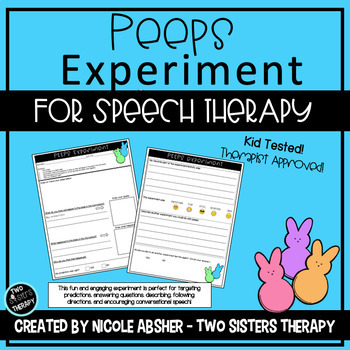 Nicole Absher, M.A., CCC/SLP is an ASHA certified Speech-Language Pathologist. She works as a school based SLP in Texas.